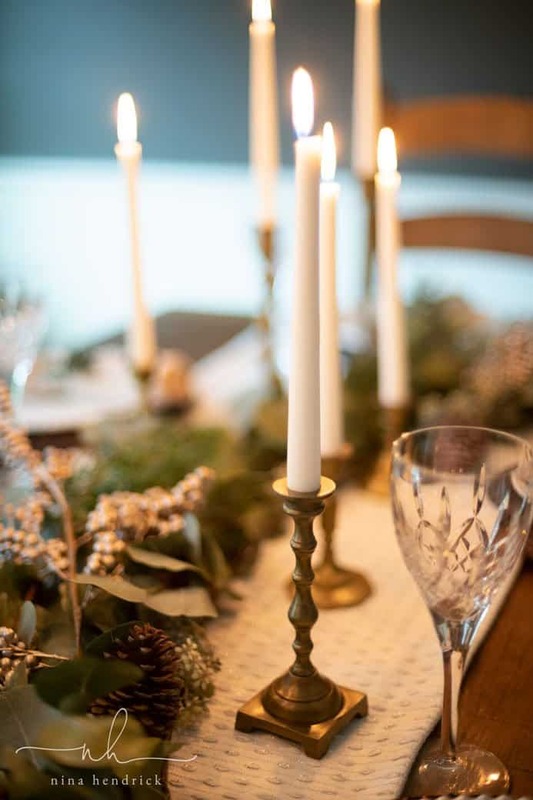 Green and Gold Christmas Tablescape | Host an elegant holiday meal by decorating with a green and gold Christmas tablescape. 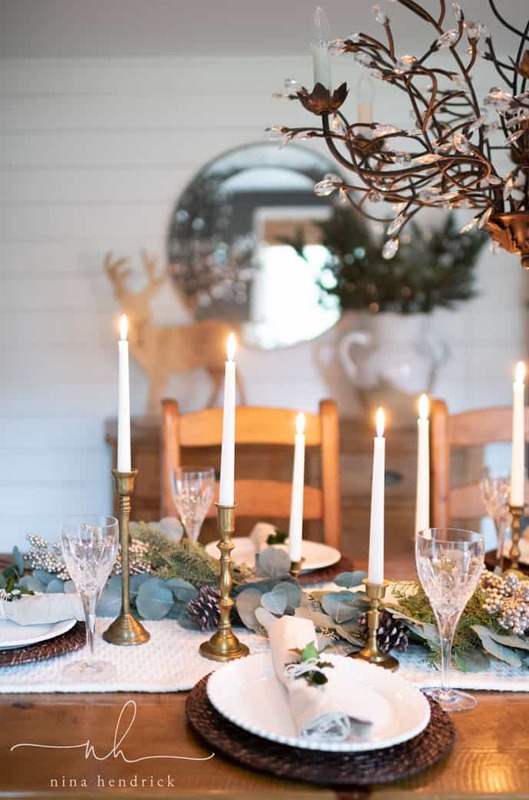 Welcome to our refreshed dining room and this year’s green and gold Christmas tablescape! 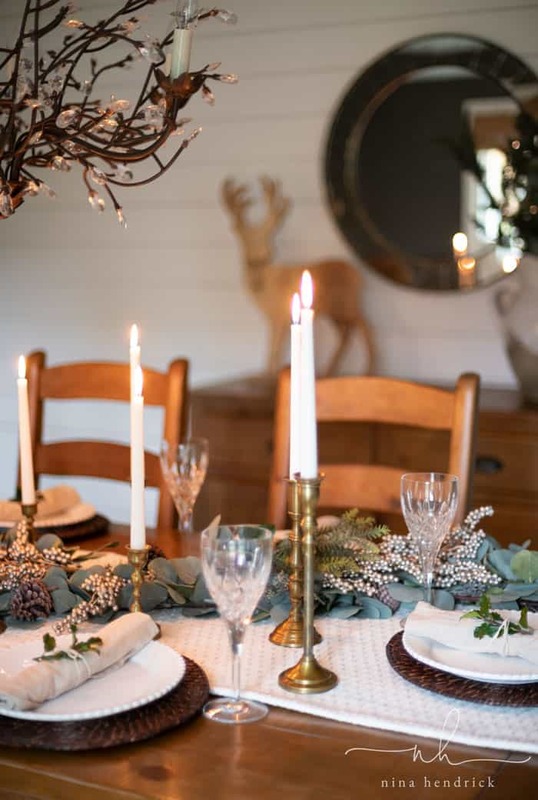 I’m sharing today for Seasons of Home Christmas Tablescape tour hosted by Kristen of Ella Claire. 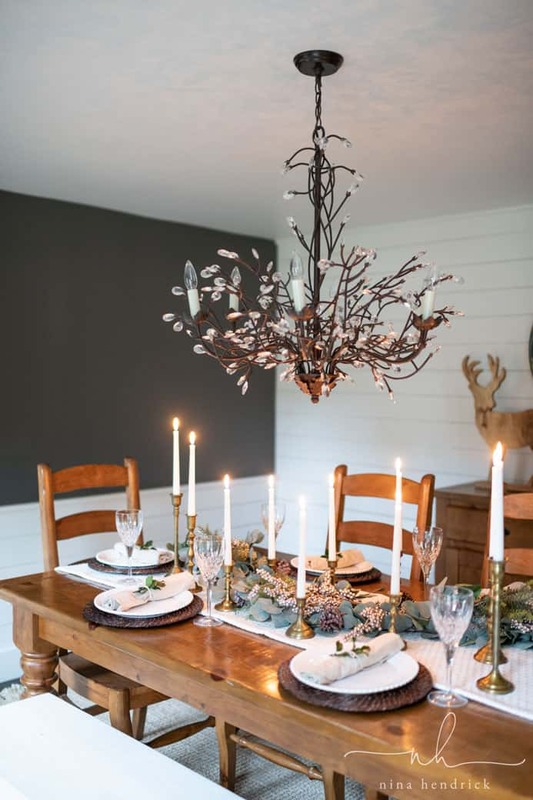 Make sure to see the other inspiration at the bottom of the post, there are some seriously stunning tables! 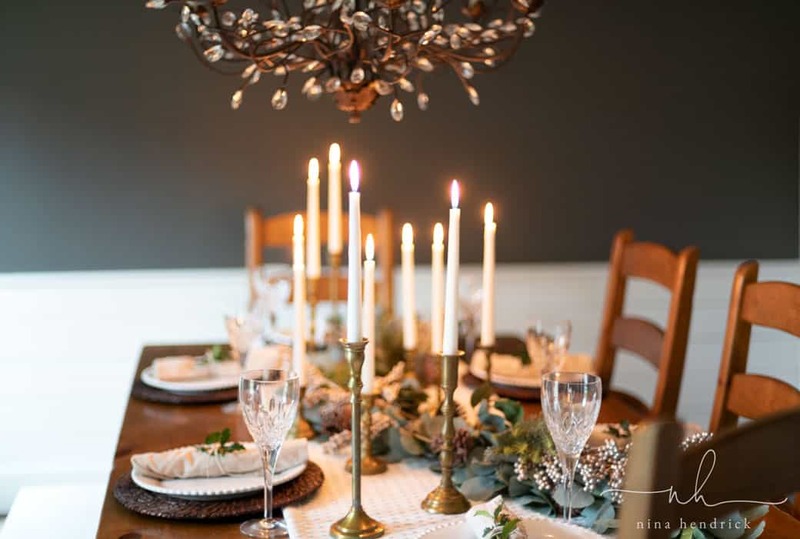 We recently took a little pause in the construction in our front three rooms (dining room, foyer, and my office) to put together this tablescape for you! I love the elegant green and gold. 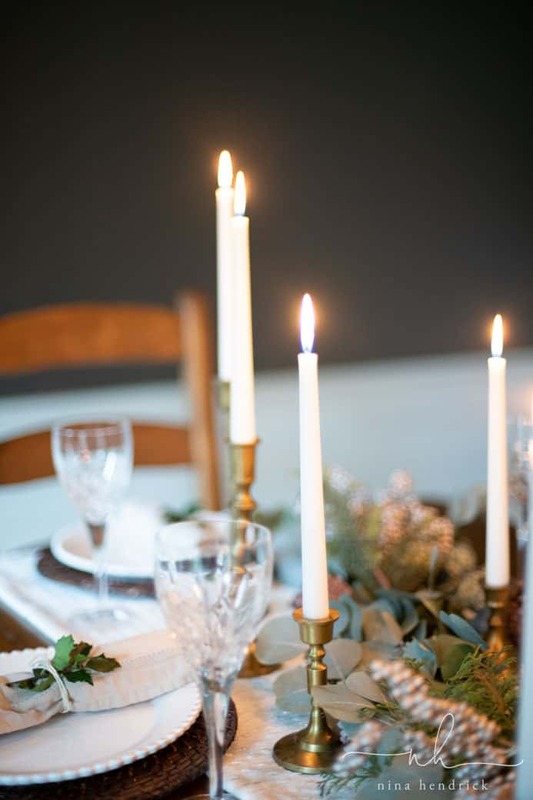 The aged gold candleholders were a great deal and are pretty nice quality. I’m really impressed by them! I’ve been wanting brass or aged gold candlesticks for a while and hoped to collect them over time. This was the next best thing! You can see a little sneak peek of our new Benjamin Moore Kendall Charcoal walls. The wall treatment and trim is Simply White. We also recently re-surfaced the ceilings and carried the Simply White there as well. It has changed the whole mood of the room to have the smooth ceilings and more contrast with the darker wall color. I’m really inspired by it. I think it makes the room feel a bit more elegant and modern, but there’s still the relaxed cottage touches that I love with the planked walls. There are a few more changes in the works. I still have to put up wall art on the newly painted walls and hang the window treatments. I’m also adding some studio-style shelves to hold all of my dishes and glasses. I’m planning to share the refreshed room after the holidays. 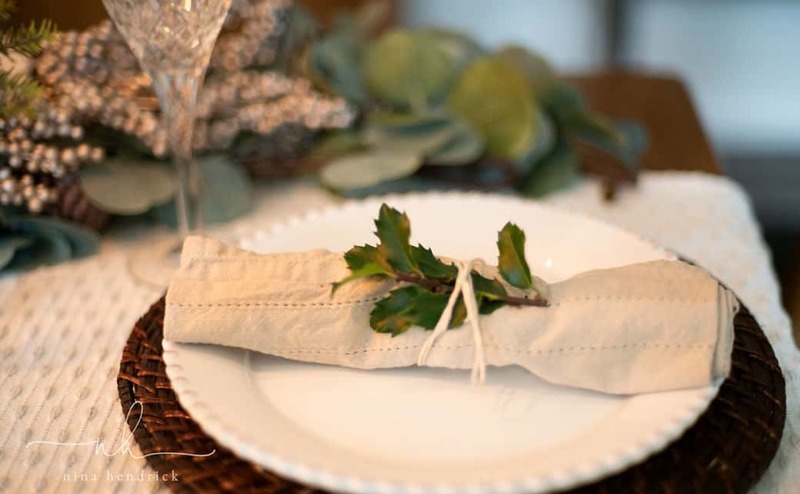 I cut a simple sprig off of our holly bush to add a natural touch to the rolled silverware. It’s one of my favorite tricks! 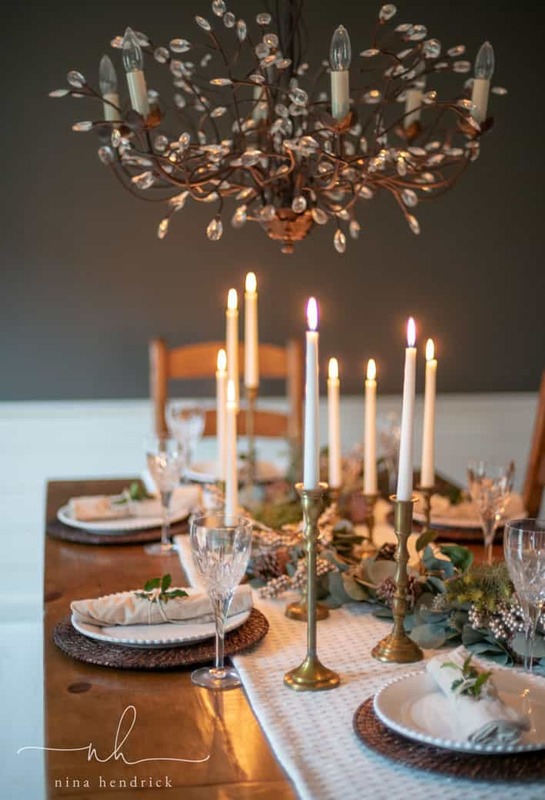 Although the green and gold Christmas theme is more on the neutral side, I love the warmth that the metals are bringing in. 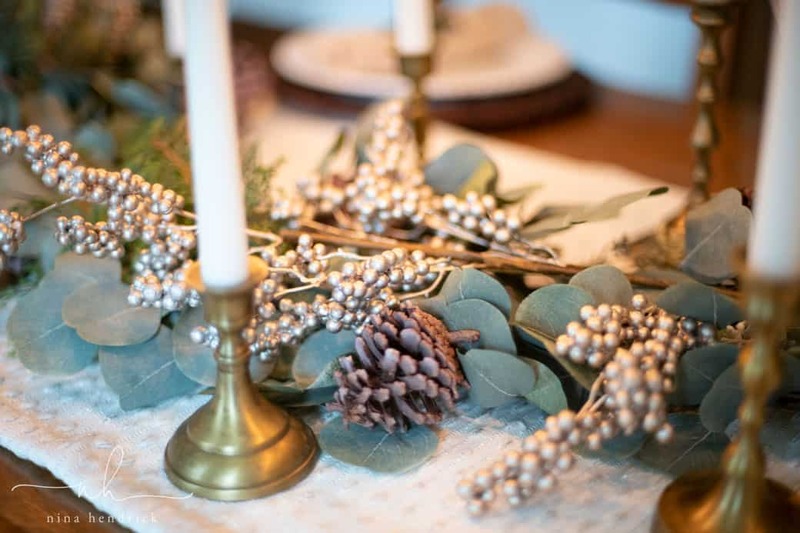 I hope that these ideas sparked inspiration for you to create your holiday tablescape! 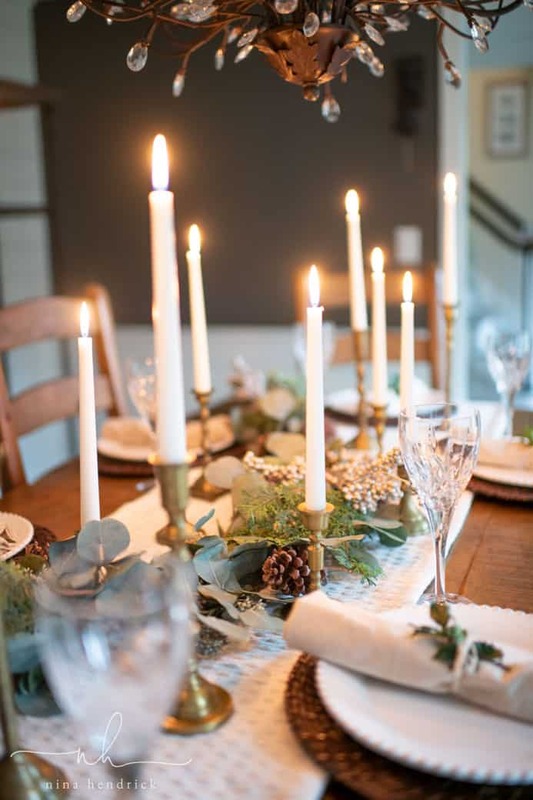 Make sure to visit my friends below to see more beautiful Christmas decorating ideas! Your chandelier is stunning and I love your place settings! So fun decorating with you. 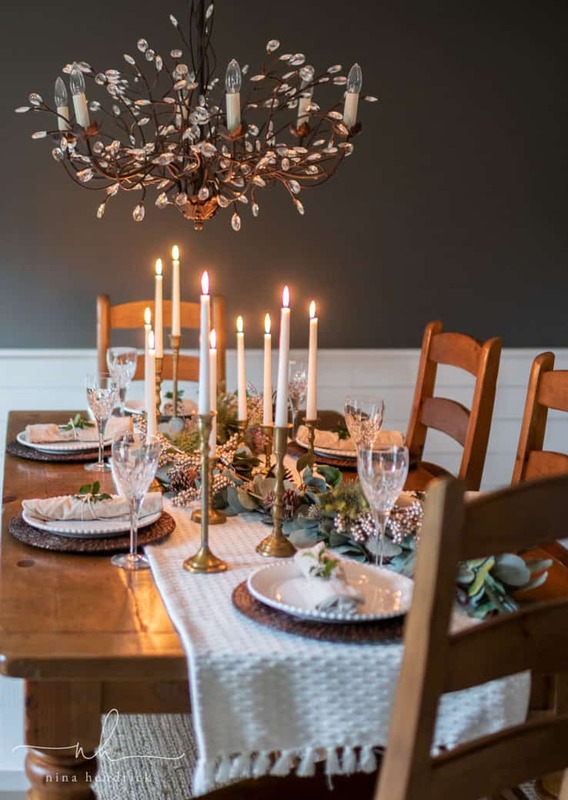 What a lovely table, set in a lovely room! 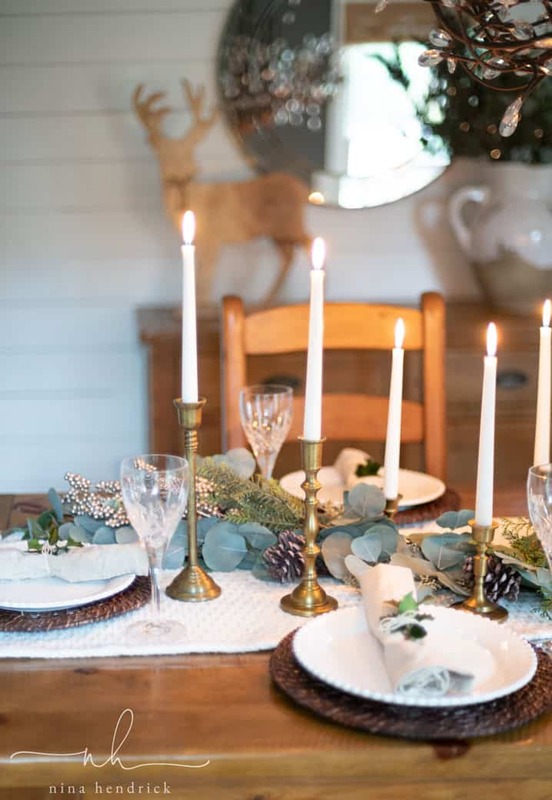 I really love the combination of elegant with rustic/natural. Speaking of which (and echoing Julie’s comment)–that chandelier! Like a tangled shrub in winter, dressed with droplets of ice! I am normally not a sparkly chandelier person at all, but this is gorgeous. I’m new here, so forgive me if you’ve been asked this a hundred times–where did you get it?